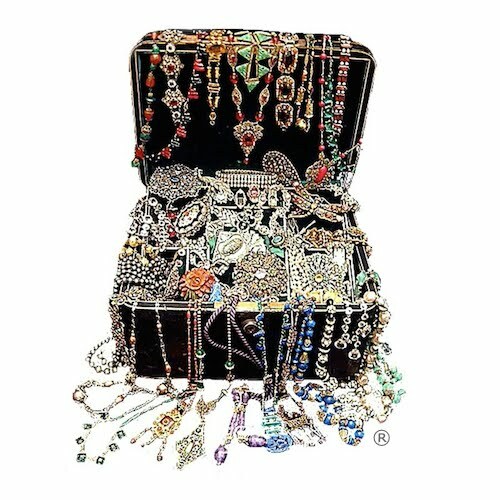 Vintage Jewel Box: Tootally vintage! My Tootal scarf stock on the website has got very low, mostly due to the weather in the last couple of months. It is hard to handwash things and get them dried on the line in winter as the days are so short and if the sun appears isn't very warm or long lasting. I persevered with them all day but to get them really dry had to resort to the airer in the utility room to finish them off! Anyway, they are now ironed and looking 'Tootally vintage' I love to see them all clean and pressed, in a nice little stack...... Now, I must get cracking and get them listed on the site!